When you go camping with a large group of people there are two options: buy a huge tent or use a couple of small tents. Sharing on a large tent does have its advantages. For example, it allows easy conversation and socialization among family and friends. If inclement weather hits everyone can all sit together and chat. In cool weather or during fall, having more people in the tent raise the overall temperature because of the body heat. Looking for Something Even Bigger? Unfortunately, many of the very large “family” camping tents don’t live up to their manufacturer’s claims. Some are so heavy they are difficult to move, others seem impossible to set up and finally, in an effort to save money some brands skimp on quality materials when leads to tent damage, leaks, and cave-ins. A 10 person tent is truly a huge shelter that is more like a mini soft-sided cabin than a tent. There aren’t many of these tents on the market and even fewer that are quality, but these 3 are worth considering. Bottom Line up Front: The absolute best 10-person tent that we have tested is the Blackpine Sports Pinecrest 10 available here. It’s a bit more expensive than the rest but worth every penny! Gander Mountain is a retail company for all things outdoors. They do have a few name brand tents such as the Vacation Lodge 10-Person Family Tent. Despite it not being backed by a big name or sold retail through more well-known stores like REI, this tent model is impressive. Despite the budget-friendly price, the features really make this model live up to its name. The interior set-up really makes it feel like a fabric vacation shelter. 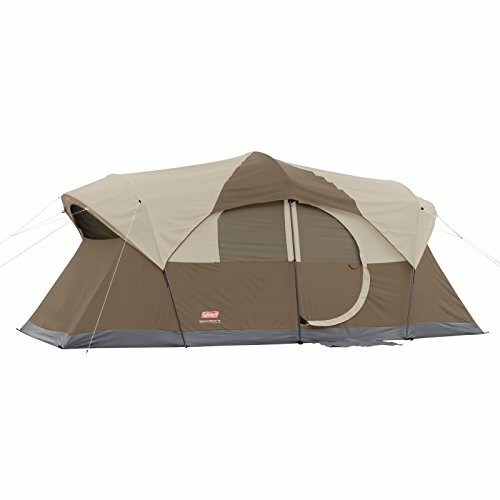 This tent is great for someone that only has a couple hundred to spend and really wants to get as much room as possible. Weighing in at 51lbs means it is appropriate for car camping but may be difficult for some people to transport to the setup area. Families that plan to camp for a couple days will really enjoy the mesh-screened entrance room as it allows a covered area to hang out without tracking dirt into the sleeping rooms. 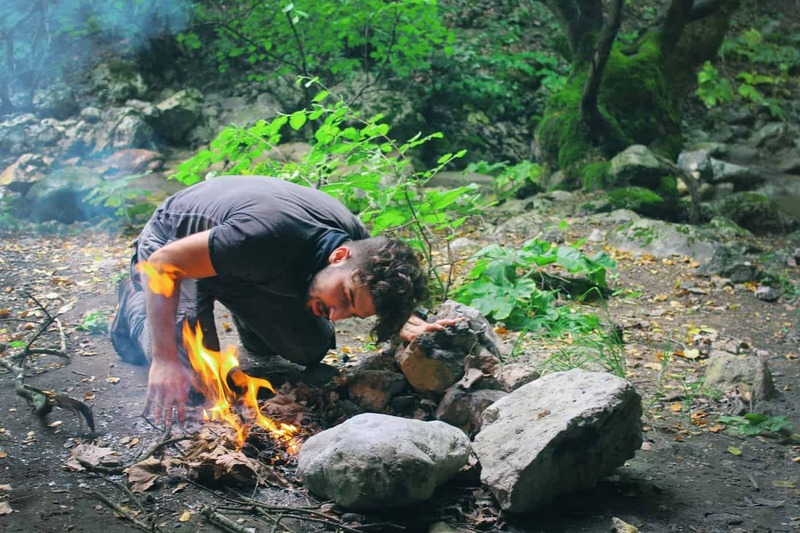 Coleman may not be a brand associated with high-tech or luxury products but they do produce good tents for people new to camping or those who camp infrequently in mild weather. Their WeatherMaster 10 Hinged Door tent is a good quality tent capable of sheltering a large number of people comfortably. This tent is fairly basic but performs well for short camping trips in spring and summer. As the features and price of this tent would suggest, this model is aimed at families who don’t go camping a lot or may only go camping in fairly mild weather in terms of warmth. The tent does repel water very well so spring or summer showers won’t be an issue. The WeatherMaster tent would also work well as a back-up tent for the more experienced camper who wants something basic and more lightweight to take with them. You can check out the latest pricing deals here. Blackpine Sports really went all out when they decided to create a luxury tent capable of sleeping 10 people comfortably. The brand may not have a ton of products so you can rest assured that the benefit of a small brand being able to focus more on quality rings true. If you really want the best 10 person tent for serious use, this might very well be your perfect option. Not only is this tent loaded with features, but it is physically built to last season after season. This tent is rugged and definitely built to last. Additionally, it is perfect to handle stormy weather, heavy rains, and even light snows. The sheer size of this tent and the thickness of the material used show that this model is specifically designed for the avid outdoorsman- such as for hunters or someone needing a semi-permanent camping site. People who need temporary shelter can also use this tent as well as people who may stay with a large group of friends or family at a festival. 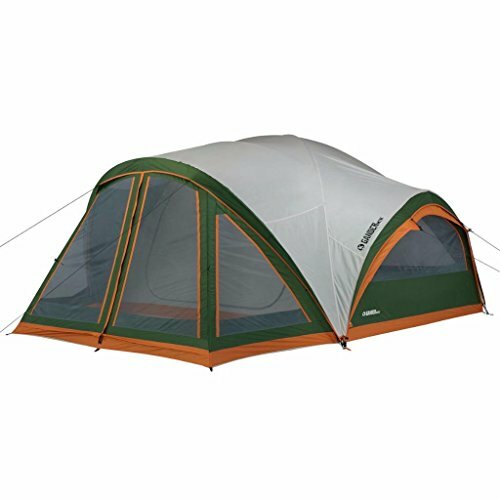 This model is not cheap and really more tent than the typical person needs but is nonetheless one of the best out there. It’s a bit more pricey than the competition, but this is a state of the art 10 person tent. We’ve been able to find it on sale here. These 10 person tents are perfect for large families or groups of friends. They could even double as fun, outdoor guest housing for visitors or for hosting a sleepover for kids. People who camp out for many days or even weeks at a time in one location may also find that a 10 person tent is the perfect size for a couple or small family with a lot of gear to store. In short, lots of space = more comfort. Previously, we’ve analyzed some of the largest tents out there in our top 12 person tent roundup, which you can check out here. Sometimes it makes sense to buy two smaller (but still roomy) tents instead of one big one. You can use one for “gear and backpacks” and the other just for sleeping. Or, you can split your group up. Check out our top 6-person tent options here.